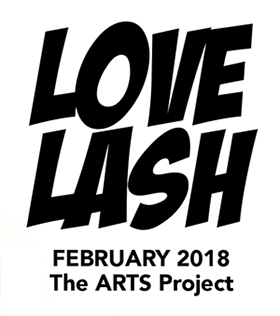 Lovelash follows the romantic misadventures of a group of friends in the early 1990s in a small-town local dive bar, The Mack Shack. Dan is a compassionate, but awkward man who just lost his wife and is trying to get back in the game. Trey is a lady’s man who’s boasting to the world that he’s single, despite the fact that he’s in a loving long-distance relationship. Nat is in love with her oblivious best friend but cannot muster the courage to admit it to him. Finally, Carter is infatuated with his ex-girlfriend, who wants absolutely nothing to do with him. Through catchy tunes and cheesy ’90s references, this group of friends embark on a soul-sucking quest to cure their own symptoms of what can only be described as… Lovelash !